Learn more about the Football Manager staff roles responsibilities and requirements.Here Passion4FM will delve into the different backroom staff roles in Football Manager, from the assistant manager to the different general coaches. 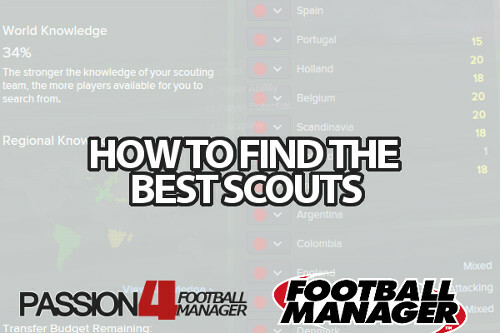 You will also learn more about the administrative staff such as the director of football, chief scout and head of youth development to name some.Additionally, you will get recommendations of the best backroom staff in Football Manager, from the best coaches, scouts and sport scientists to the best assistant managers.Remember! One of the most important parts of team management is to trust your backroom staff and delegate some of the overall responsibilities to your Football Manager backroom staff. Each Football Manager staff role will have different responsibilities and attributes and will provide different advices and tips which you can excel from.By browsing our staff role archive you will learn more about the required staff attributes for each backroom staff role, which lets you find the best Football Manager backroom staff on your own.